Join the Sephra.com Affiliate Program! Your customers love chocolate and we're here to help you give them what they want! 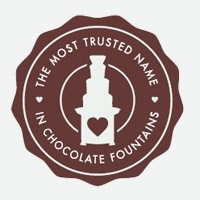 We are the premier manufacturer and distributor of chocolate fountains and fondue chocolate worldwide. We also offer other entertainment products for home use and for catering professionals such as: Chocolate fountain accessories, eight (8) types of fondue chocolate, Belgian chocolate mousse mixes as well as delicious creme brulee. Our products are sure to bring repeat business to you from your customers. We welcome the opportunity to work with quality affiliates and provide an attractive commission schedule starting at 8% commission on each sale. We also offer incentives for the best performing affiliates. We value integrity and quality of service. Send Visitors to the Sephra.com website by placing banners and text links on your website and other trusted online channels. When visitors make a purchase on the Sephra.com website, you earn 8% commission on the value of every sale. -8% Commission on each sale and the average sale value of our Chocolate products is $110. Sign up with our affiliate partner network Pepperjam and apply to the Sephra.com affiliate program. Sign up with affiliate partner network ShareASale and apply to the Sephra.com affiliate program. We value your participation in our affiliate program and welcome your comments and suggestions as to how we can better serve you and ensure your successful participation with us. Please contact sephra.affiliatemanager@gmail.com if you need assistance or to share your ideas.